As a magpie excited by things that sparkle, or a kid in the best sweetshop ever, or even a magpie in a sweetshop(!) 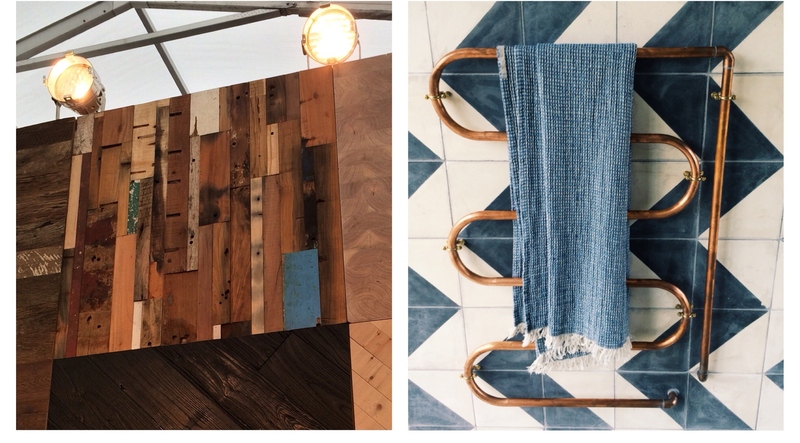 I was so excited, I headed off to Decorex 2015, as a part of the London Design Festival this week, to see over 400 exhibitors interpretation of the future of luxury design. 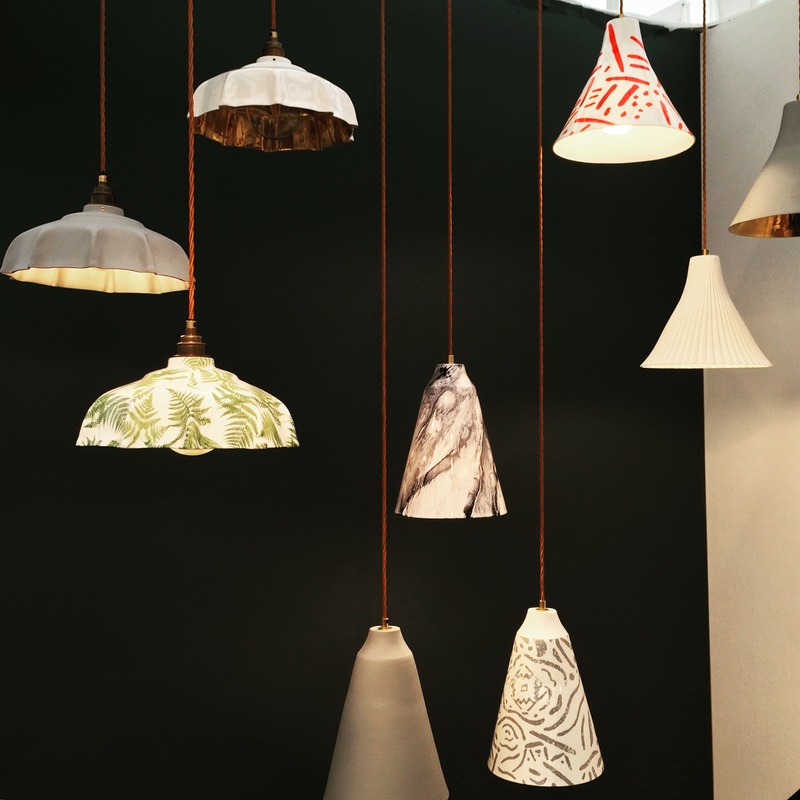 Decorex is widely regarded as quite a big deal in the design world so as an outsider I was pretty nervous about going for the first time and on my own. I was hoping to be inspired, to find beautiful things I can’t afford, to swoon over the use of materials and I wasn’t disappointed. 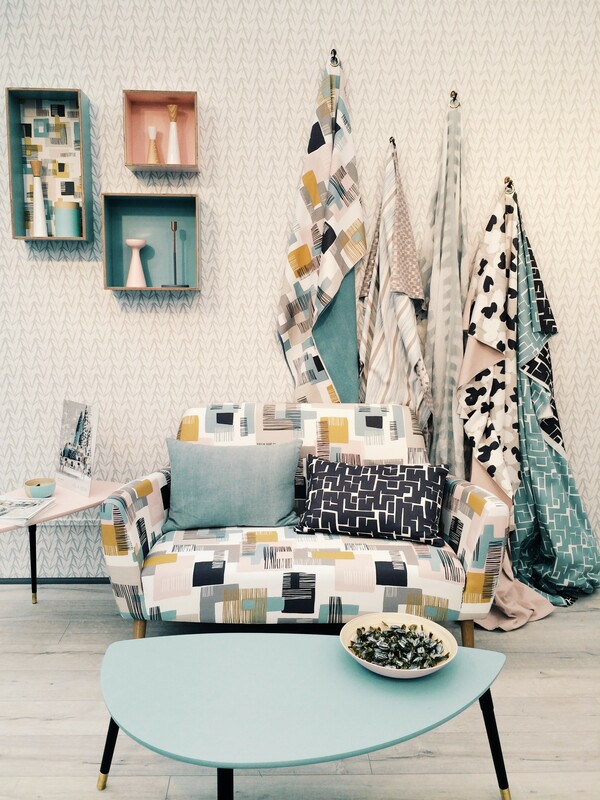 Decorex is Dizzy with pattern and texture. I genuinely felt a little like a victorian lady with a strange malady born of modern living, this may have been because not only was Decorex hectic but I was also doing it at a slightly manic pace, aware as I was that I had cashed in some serious goodwill from my mother to look after the baby whilst I waltzed around window shopping! 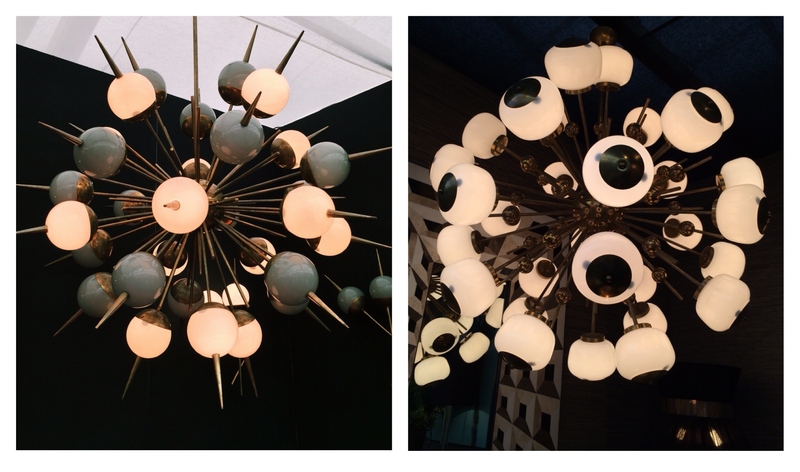 I may have enquired about items that were astronomically expensive (£7,000 light anyone? Some wallpaper at £140 PER METRE!?!) 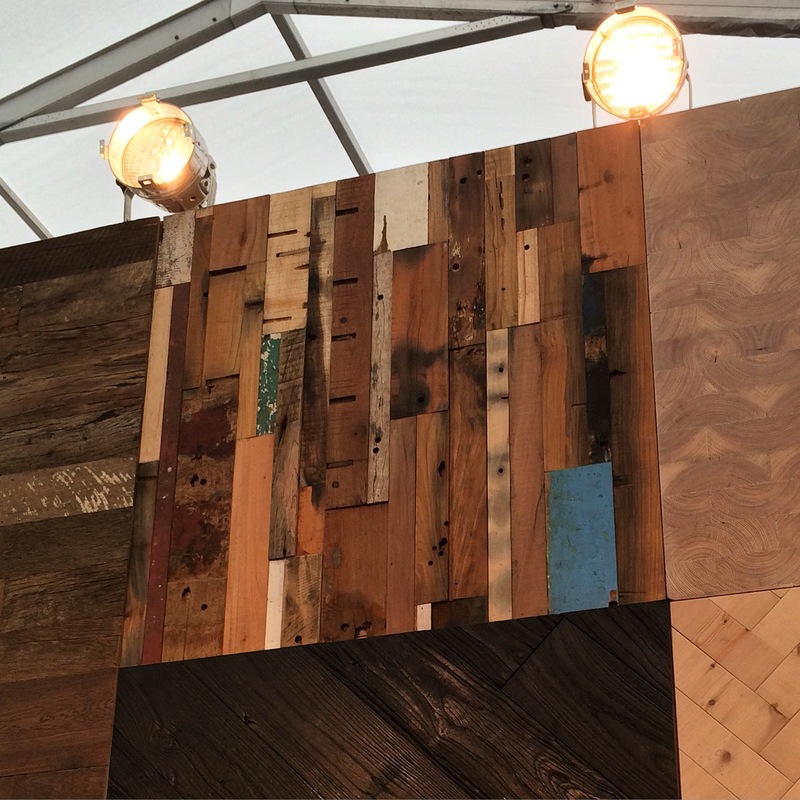 but generally the show confirmed my taste for more rustic items as they were the things I gravitated towards most naturally. Being attracted to warmth as I am, I loved various bits of wood in the exhibition, Nic Webb‘s work with objects made of wood was inspiring. And I thought both this reclaimed flooring by Ted Todd, above, and this Denmark cabinet from Homes in Heaven, below, were quietly beautiful. 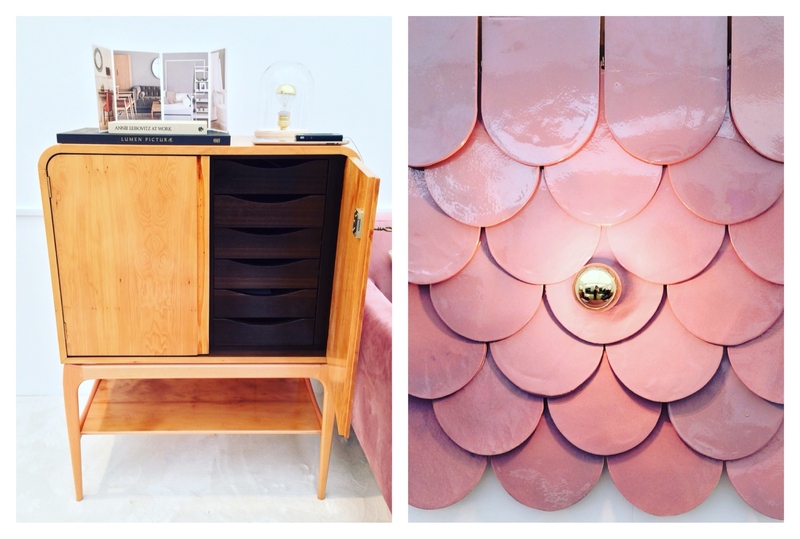 Homes in Heaven was a great stall and continuing my love of all things pink in the interiors works, how cool is this pink scalloped tile wall light, also below. Outstanding mention of the show, for me, goes to Bert’s Box by Bert & May which I absolutely loved, I could happily have inhabited this space forever. 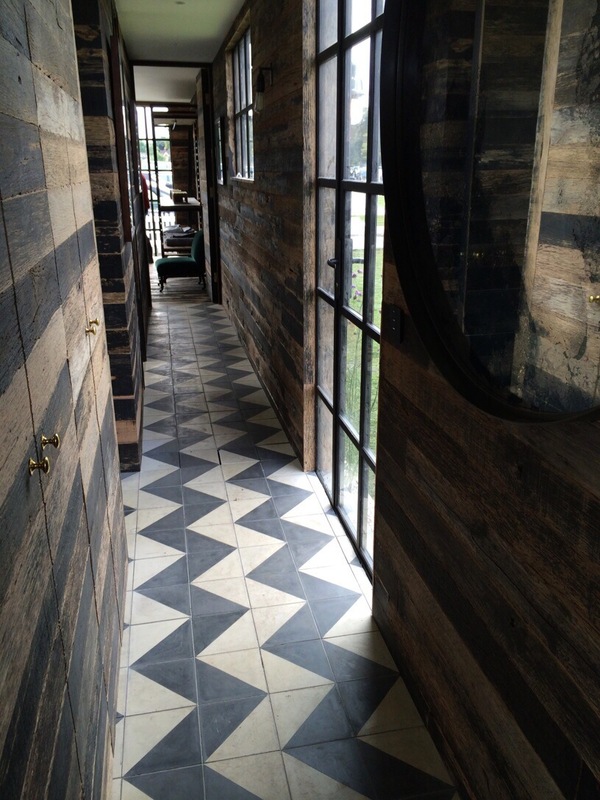 Their encaustic tiles are so beautiful and in particular I thought their bathroom installation was absolutely the last word in style. 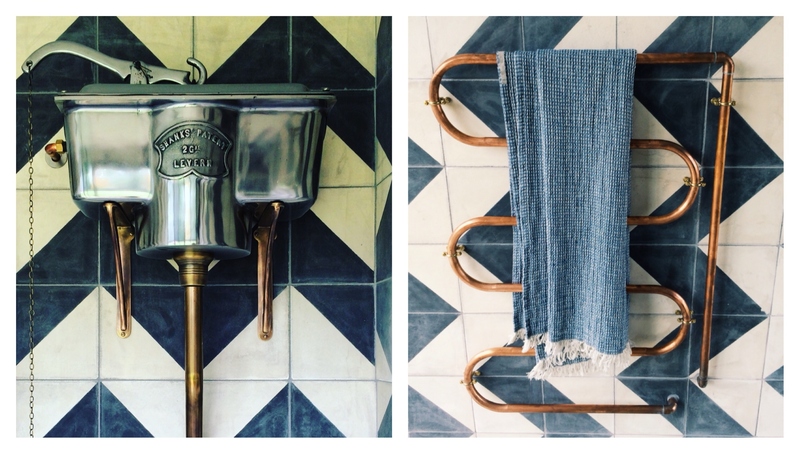 The reconditioned Thomas Crapper toilet was so chic against their tiles and I love this copper pipe towel rail, I wonder if this is an accessible idea I can steal for our bathroom makeover. 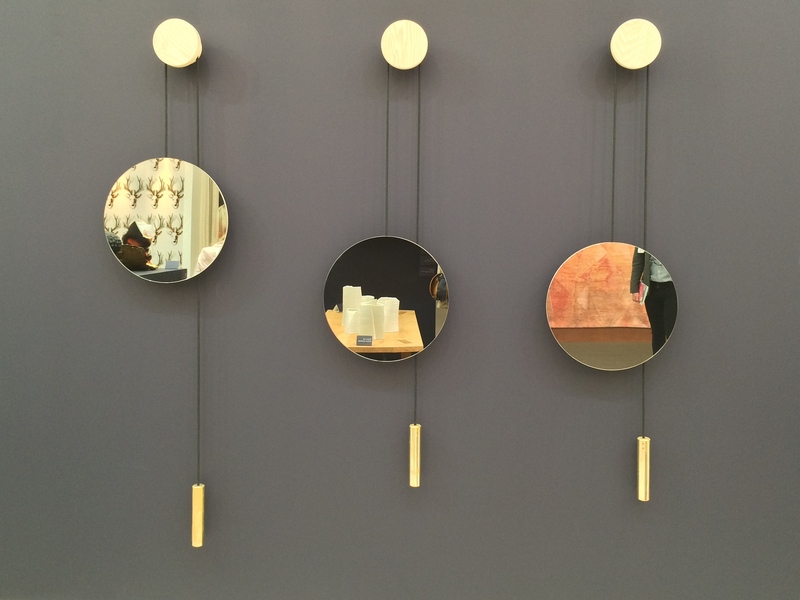 I was so struck by these Rise and Shine mirrors specially chosen by design critic Corinne Julius as a part of Future Heritage. They are designed by Hunting & Narud, I love the effect of the smoked grey tinted mirrors. The rope on can be adjusted vertically to suit the user or to play with composition and reflection in it’s setting. 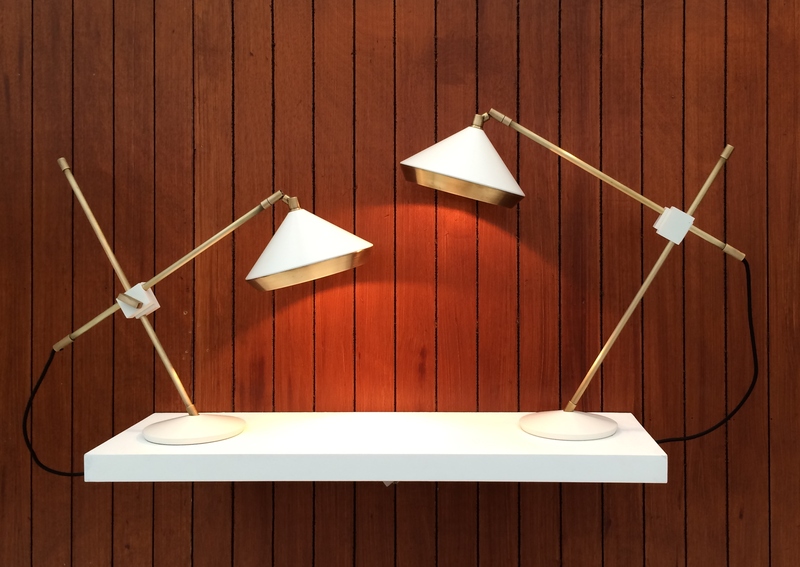 This was one of my favourite items in the show, it feels utterly modern whilst taking it’s cue from the mid-century, behold the gold geometric wall light from Insidherland. 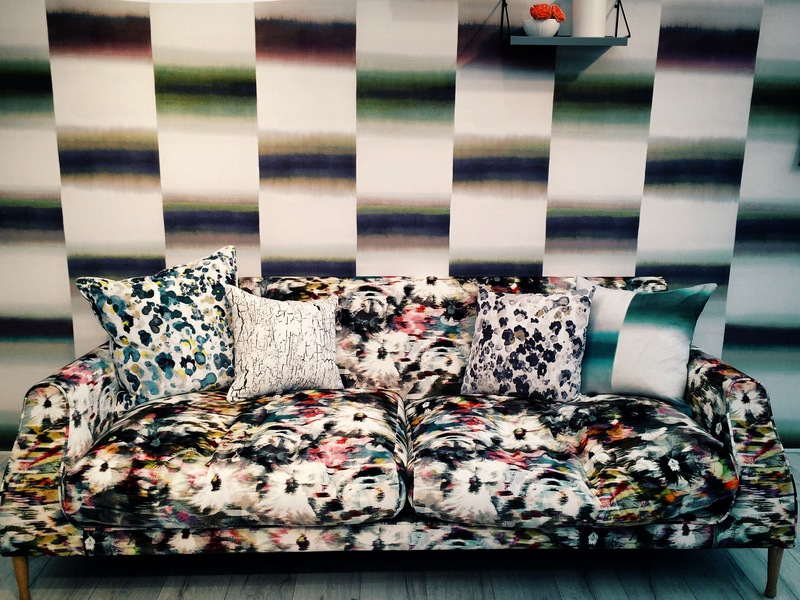 I have a weakness for high end wallpapers and I saw a great many that were swoon worthy at Decorex but am saving those up for a post of their own in an autumn wallpaper update. 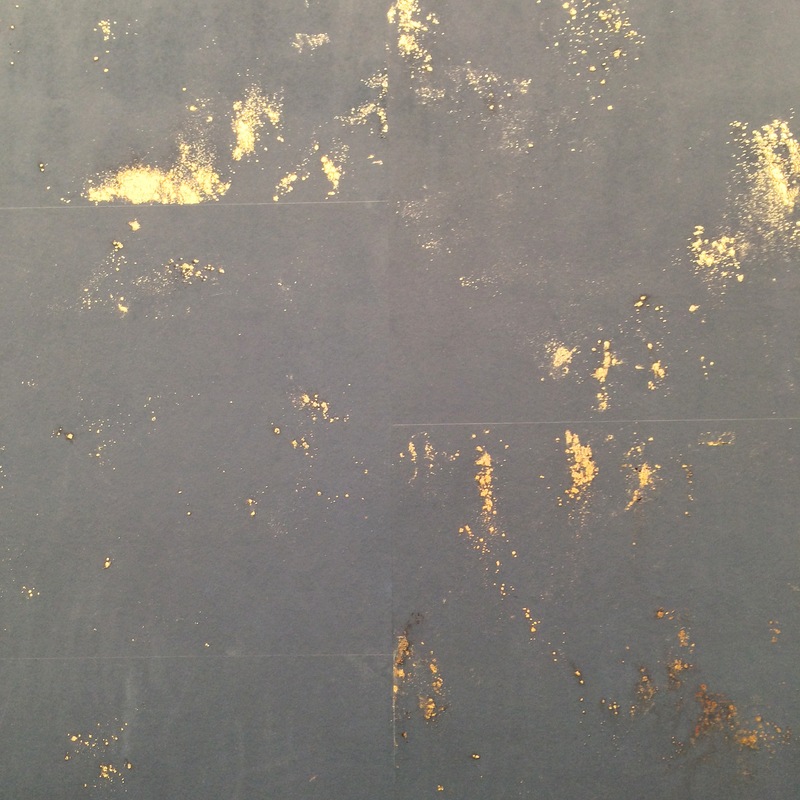 However, I’m sharing this one by Custhom (who are one of my design favourites) as I’m not sure it would strictly qualify as a wallpaper, more of a surface. Isn’t it exquisite? Somehow I entirely missed this by Volta ceilings (despite my best efforts to find something huge and centrally located) it looked online like it would have been insupposably cool in real life. Purveyors of total interior brilliance and cool SCP had a heart beat skippingly lovely display. SCP do things so well, they had a lovely cabinet but the stall was too busy to capture it. 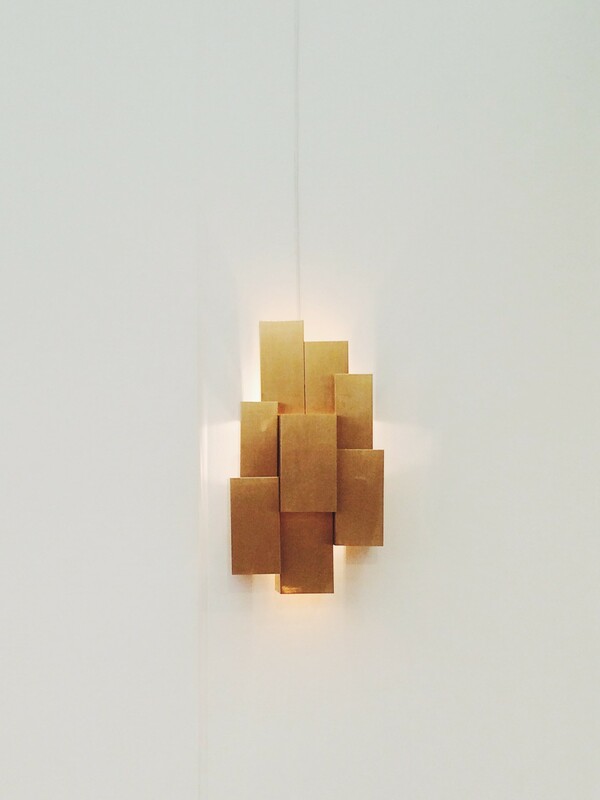 I loved these gold wall lights, my partner wondered if they would look good horizontally in a living room, I’m not sure, what do you think? 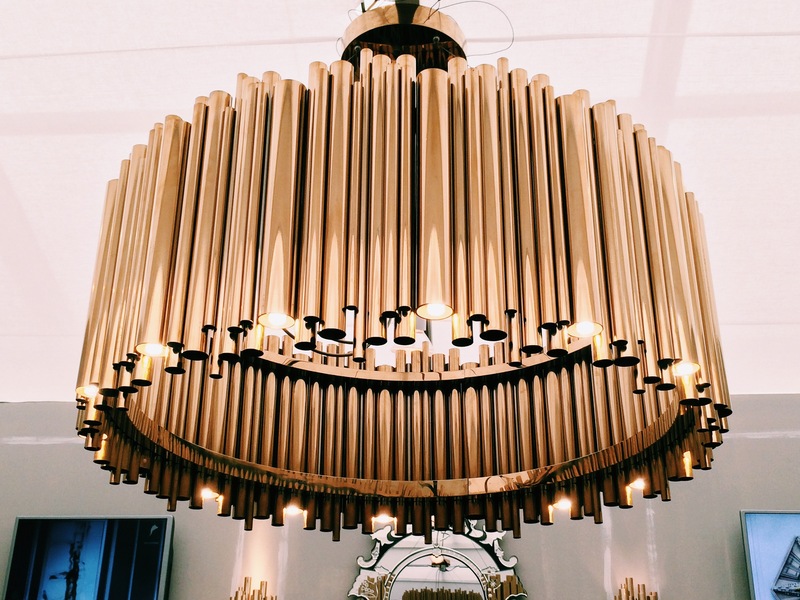 Not appropriate in a domestic interior perhaps, but this gold cigarillo chandelier from Boca do Lobo is awesome and would look great in a commercial interior. 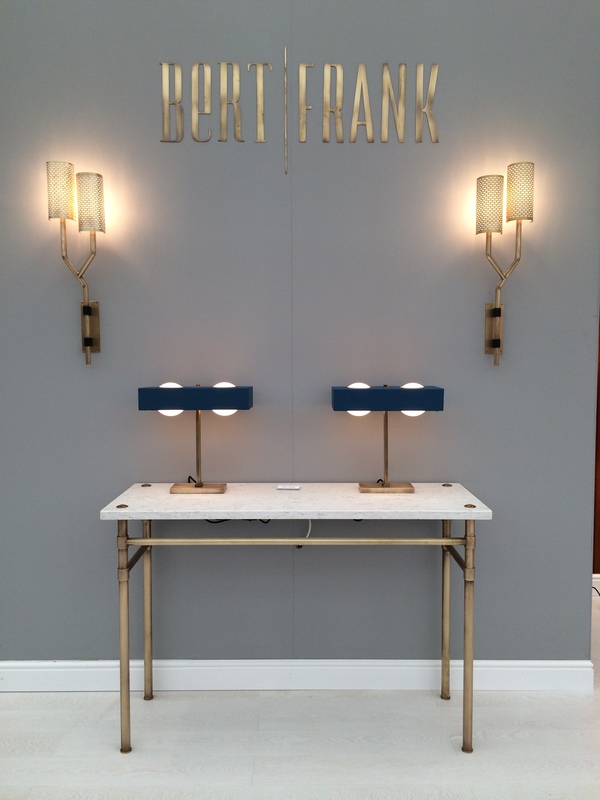 The Bert Frank stall was a bit if a revelation for me, I could have gone home with many items from this stall (including the Flagon chandelier and wall lights not shown) I think they had one of the best arrangements (below) and I particularly loved these desk lights shown above. 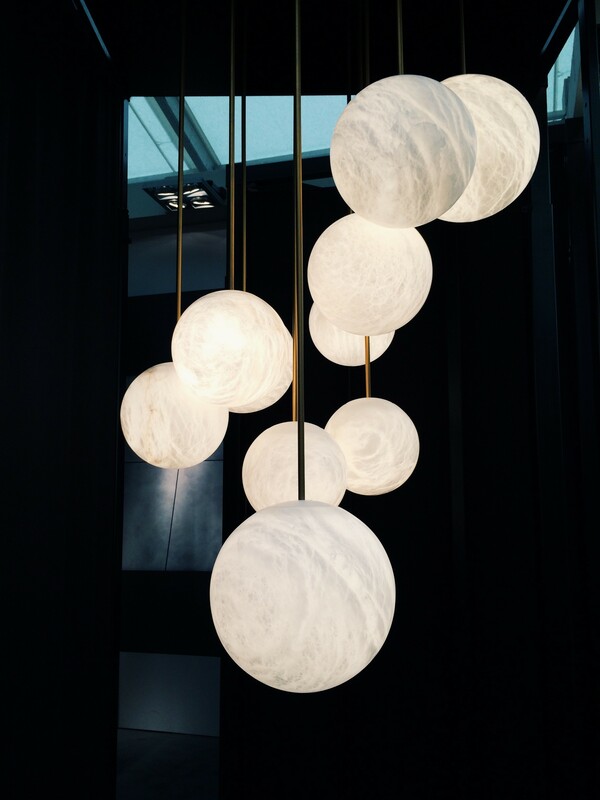 Some items need no introduction or explanation, I think this Lustre chandelier from Atelier Alain Ellouz lighting is one such item, isn’t it beautiful? Rather like stylistic hanging moons. 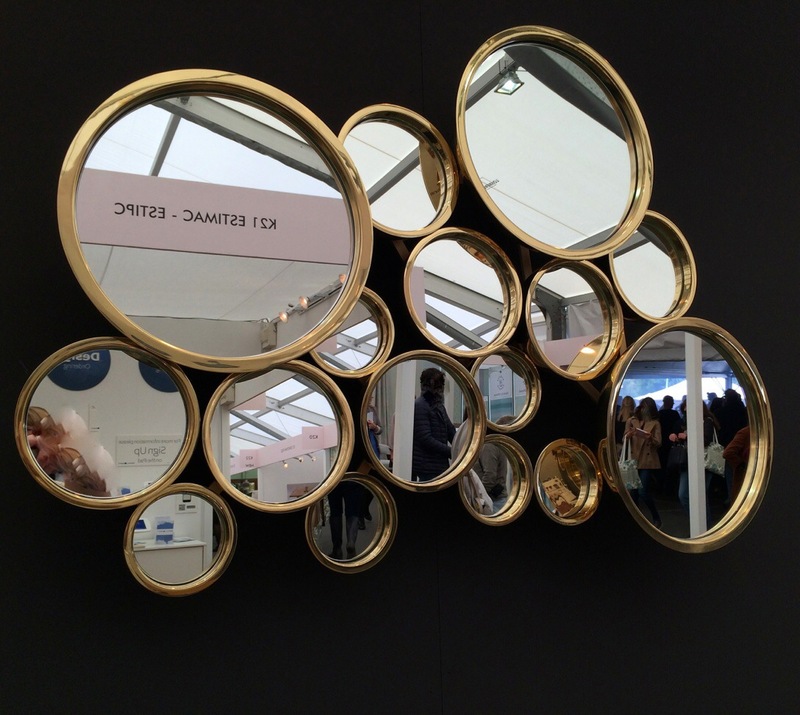 I thought this Dome mirror from Bat Eye Art & Design was a great example of playing with shape and groupings, it would look fantastic in a hallway or just about any downstairs living space. I have a bit if a thing for the current trend in painterly fabrics (particularly digital dot printed ones) this line Kansai by Black Edition is gorgeous, not entirely sure id have the guts to go for such a statement on this grand a scale but I do love it and admire it’s boldness. 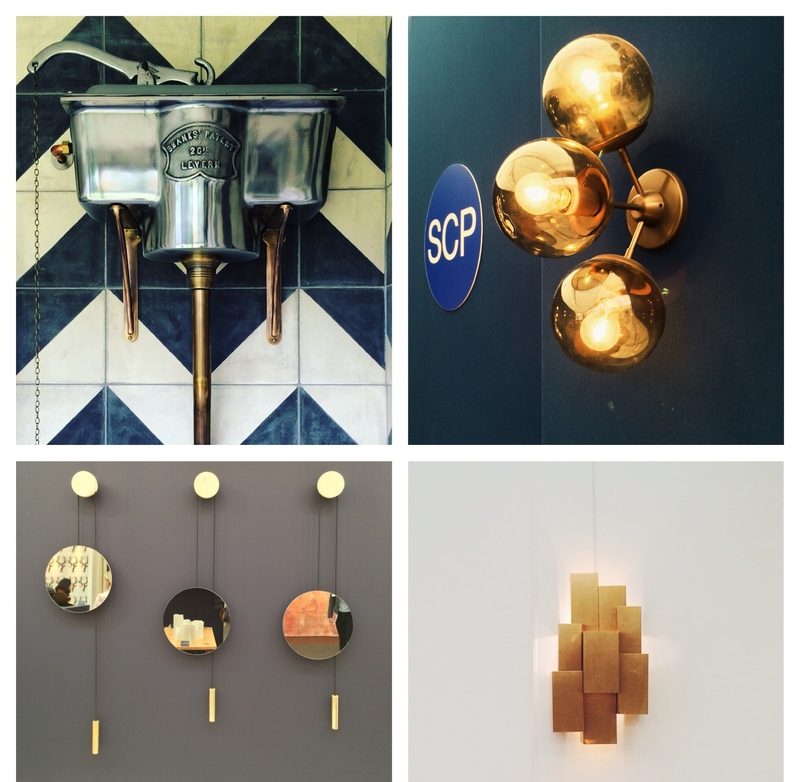 Lyngard lighting had a sweet stall of pendants, I really like the Campbell ones on the top left, they feel like a grown up and sophisticated interpretation of the jelly mould lights oft found in industrial offerings. 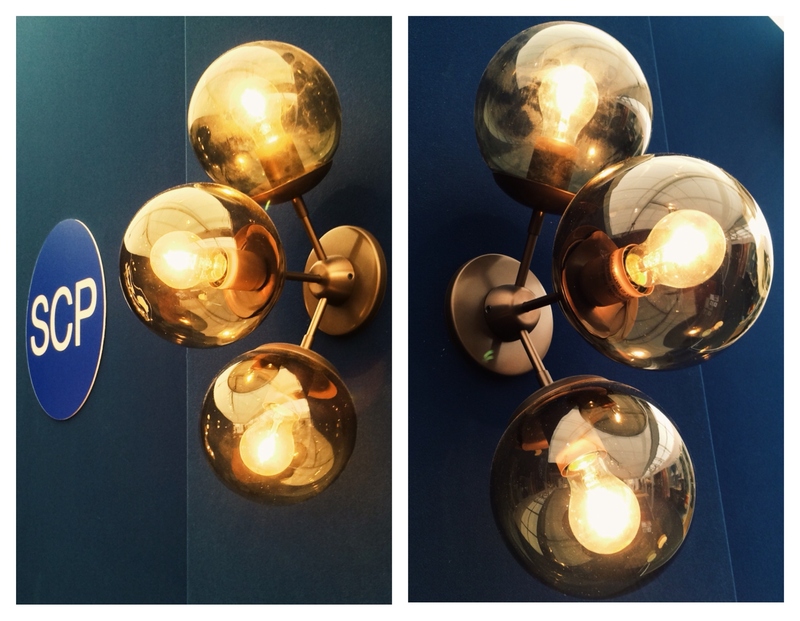 Probably the most bling items included in my run down (I did love lots of marble too) are these two atomic shaped glass pendant lights. The first is a murano pendant from Rainbow (and is the one that retails for over £7,000) the second (which I didn’t dare ask the price of) comes from Charles Burnand. 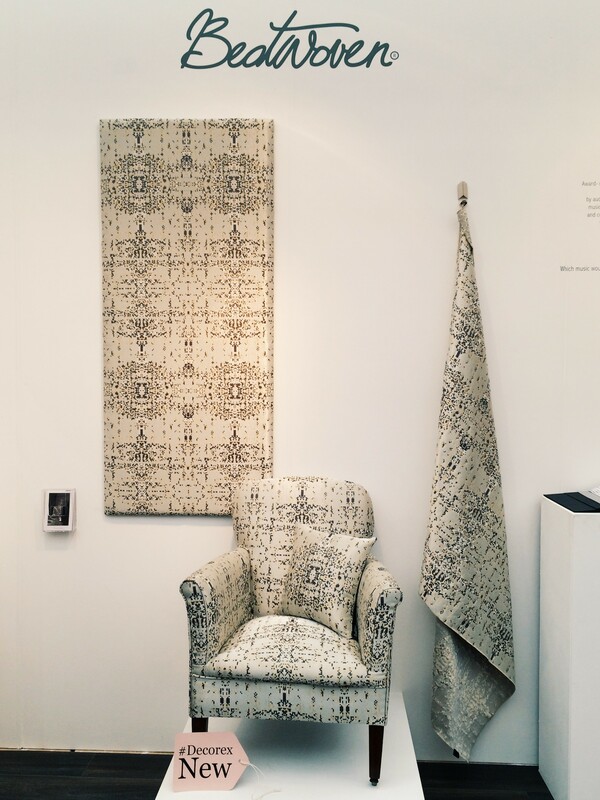 Beatwoven textiles is a company I’m going to watch, their fabrics were just lovely, glamorous, intricate and somehow still homely and understated, this collection is Future Heritage. It was great to see Villa Nova‘s new textile range Etta having seen them so frequently in magazines, they are as gentle and cute as you imagine on the page. Money most definitely doesn’t mean style, but you can buy some truly lovey things with money!